Both Kansas and Missouri have lethal injection rooms like this one in San Quentin State Prison. While Missouri has been on a regular execution schedule since 2013, Kansas has yet to use theirs. Hear Steve Kraske's entire interview with Peter Hancock and Maurice Chammah about the death penalty in Kansas and Missouri. “Last year, Texas and Missouri carried out the same number of executions —they both executed ten people — but of course there are more than four times the amount of people in Texas, so Missouri by that metric has become the place that executing at a faster rate than anyone else,” Maurice Chammah, a reporter for The Marshall Project, told host Steve Kraske on Up To Date. Since 2013, Missouri has been keeping a regular schedule of one execution per month. 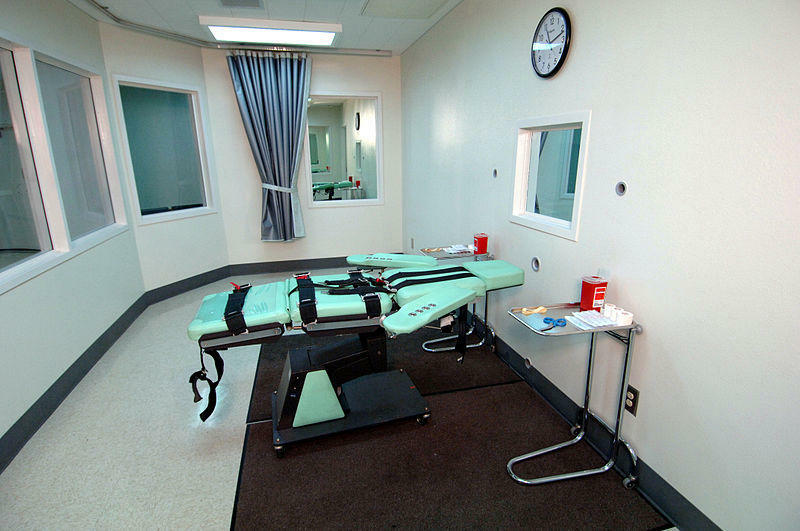 Meanwhile next-door, Kansas — who also allows capital punishment — hasn’t carried an out an execution since 1965. Kansas was almost 20 years behind Missouri in reinstating the death penalty, making it one of the last states to reinstate capital punishment, but the Kansas Supreme Court has either overturned convictions or penalties in almost every death penalty case. In the one case that wasn’t overturned, the inmate died of natural causes before the execution. Peter Hancock, a reporter for the Lawrence Journal-World, told Kraske that in addition to the Supreme Court’s reluctance to carry out the death penalty, there is a growing change of attitudes throughout the state regarding capital punishment. “Part of it having to do with the cost of prosecuting death penalty cases, and the length of time that appeals take — but there's also a growing sense among young Republicans coming up, especially pro-life Republicans, who now feel a moral inconsistency between being pro-life on abortion issues and in favor of the death penalty,” Hancock said. There are several factors across the country that can either speed up or slow down the execution process. The Kansas Supreme Court’s pattern of overturning death penalty sentences could make prosecutors in the state more hesitant to carry them out, according to Chammah. Whereas in Missouri, the political climate lends itself to pushing for more executions. “They have a governor that has been very outspoken. Jay Nixon has made many comments in support of the death penalty, as has Attorney General Koster,” Chammah said. And Missouri’s Supreme Court started the schedule of signing off on one death sentence each month. Former Missouri Chief Justice Mary Russell said that schedule reflects a backlog of inmates awaiting the death penalty, not the ideology of the court. Another factor that has allowed Missouri to carry out so many executions is the steady supply of the drugs needed for lethal injections. There’s been some speculation about where Missouri gets its drugs, including whether its from overseas or from veterinary sources. “The key word there is speculation — we really don't know. We just know that Missouri has been able to access a kind of stockpile of this drug, even as other states have struggled. It seems like every state has a different problem depending on the day and Missouri somehow seems to avoid a lot of this,” Chammah said. Missouri, like many other states has laws that allow this information to remain secret — but just last month, a circuit-court judge ruled that the state must provide the name of the pharmacy from which it buys legal injections drugs. That's following a suit filed by five news organizations, including the St. Louis Post Dispatch and The Kansas City Star. 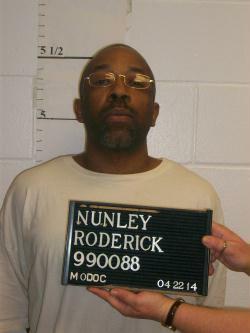 Nevertheless, Missouri carried out the execution of Roderick Nunley on-schedule Sept. 1. Lisa Rodriguez is an associate producer for KCUR's Up To Date. You can reach her on Twitter @larodrig. Eyes are on Missouri as the state's implementation of the death penalty enters national discussions. What has already shifted in approaches to challenging the death penalty, and what further developments can be expected now that celebrity Larry Flynt has been granted the right to ask for previously sealed documents from Missouri executions?